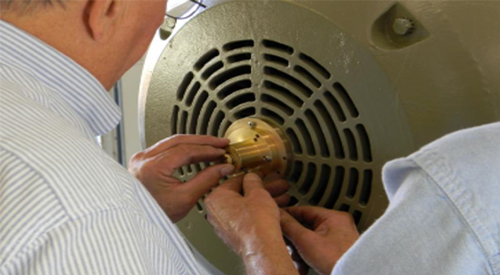 3E Service Department is a group of Certified Technicians that offer on-site services. Our team of knowledgeable technicians are ready with the finest equipment to get you up and running fast! We are Authorized Specialist in: Transformers, Becker Vacuum Pump Mechanic, Level 1 Vibration Analyst, Mitsubishi & APC Uninterruptible Power Supplies, and Schneider Electric VFDs. E utilizes the Prüftechnik VIBXpert II vibration analyzer with Omnitrend software to accurately monitor your equipment. Avoid costly unscheduled downtime by catching failures in their early stages. For efficient production, 3E maintains a substantial inventory of sheet and structural steel in various sizes and shapes. Improperly aligned machines wear out couplings and bearings at a much faster rate. We use a laser alignment system for the most accurate alignments possible. Fiels balancing is done with our VIBExpert II analyzer. Poor power quality can be damaging to sensitive equipment. We can detect voltage spikes, harmonics, and various other power quality issues that can lead to costly equipment failures. Power infrastructure is critical in today’s World, so it’s important that oil-filled transformers are maintained. 3E service department has a trailer fully stocked with transformer maintenance and repair equipment which can be deployed to your location. We offer PM programs designed to detect and predict problems before a failure. Variable frequency drives (VFDs) are very effective at increasing efficiency and reducing energy costs when properly utilized. Our service department can provide startup services to get your VFD set with the correct parameters. We can troubleshoot and service existing VFDs as well. We can diagnose motors and systems to pinpoint the problem so that it can be fixed correctly the first time. Motors can be tested in the field, avoiding the possibility of a costly removal and installation process for a motor that may not even need servicing.